Knowing the number of occupants and where they are located proves crucial in many smart home applications such as automated home control, anomaly detection and activity recognition. In this paper, we propose a novel classification-based occupant counting method that makes use of existing and prevalent WiFi probe requests that are originally designed for WiFi devices to scan WiFi APs at certain channels. First, we employ a binary-location-classification model to determine each detected occupant inside or outside a targeted area; then the neural network is introduced to act as the classifier. Moreover, multiple WiFi sniffers for each given target area are deployed to generate multiple features for the neural network to perform classification and it proves mathematically to be more accurate than one WiFi sniffer only used. Finally, we validate our proposed method through real experiments. 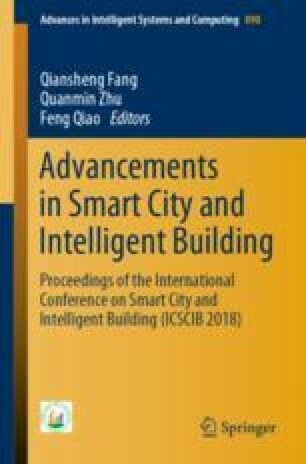 Results show that our classification-based occupant detection method using multiple WiFi sniffers outperforms the 1-WiFi-sniffer-based method, and its accuracy makes it suffice to be a viable approach to occupant estimation for smart home. This work was supported by National Key Research and Development Project of China, No. 2017YFC0704100 (entitled New generation intelligent building platform techniques), National Experimental Teaching Demonstration Center (entitled Building Control and Energy Saving Optimization Experiment Center, Anhui Jianzhu University), National Natural Science Foundation of China (Grant No. 11471304), and Ph.D Research Startup Foundation of Anhui Jianzhu University (Grant No. 2017QD07).